The Membrane Flow Analysis Device for Gas (MFAD-G), Quality Control Model, is the first* of a 3-version series of devices that, altogether, will allow use-specified measurement of flow rate and flow pressure of gas and liquid media through chip-mounted membranes. The QC Model has a rudimentary form of the general system and acts as both a prototype for laboratory-grade versions as well as a functional device sufficient for chip quality-control testing by SiMPore. The driving need behind the design is that membrane porosity, mechanical strength, and uniformity thereof are critical aspects being developed in nanoporous and microporous membrane chips. 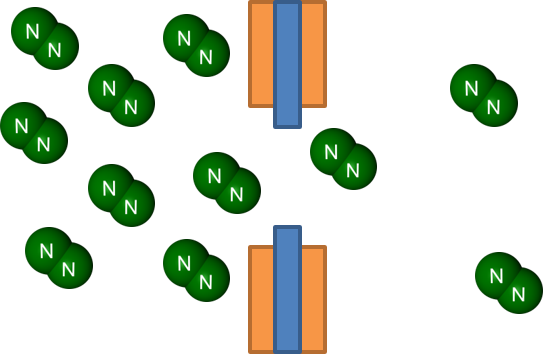 By measuring the flow rate through a system containing a measured positive pressure that is partially isolated from the environment by a membrane (the rate of gas escaping), we can approximate these properties for an individual chip with respect to the theoretical model and previous sampling. *The MFAD is an improved and published descendant of a setup developed and commonly used by other laboratory researchers at McGrath Lab. Improvements are in ease of use and accuracy. 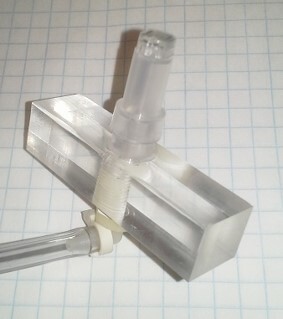 A rotameter bypass path for burst-pressure testing that prevents jolting of the rotameter bead into the top face of the tube. 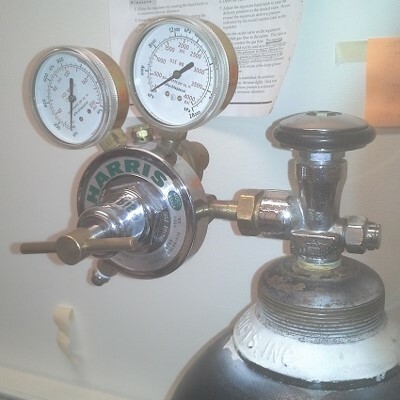 Nitrogen Tank and Tank Regulator: A large N2 tank equipped with a Harris 0-100 psi welding gas regulator preserves and controls pressure in the system. All MFAD components are rated for >100 psi. 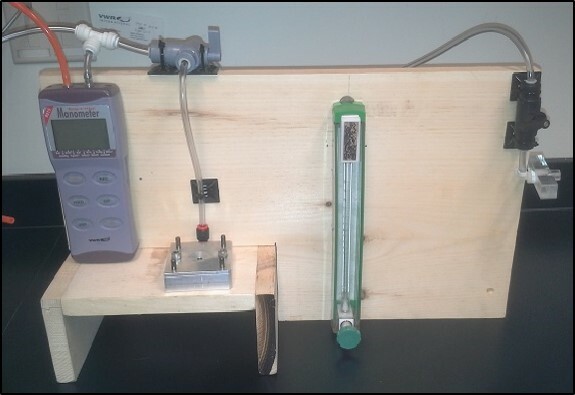 Rotameter: Gives an analog measure of flow rate by channeling flow past a bead in a tapered tube (higher flow -> greater height of bead suspension). 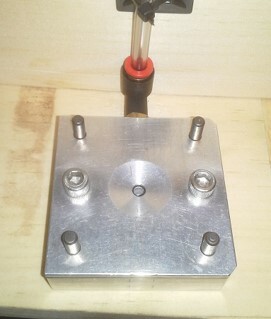 Uses simply interchangeable 0-.20, 0-2.0, and 0-20. L/min flow tubes for 2% accuracy at a wide range. (see manual for tube changing instructions). Manometer: A proven model that gives a digital read-out measure of 0-100 psig flow pressure with .1 psi resolution. 5. Frame [Not in Flow Diagram]: All versions of the MFAD will be frame-mounted for organization and storage purposes. After further testing and discussion, the difference was explained by a combination of leakage and a lack of significant figures in the old system. The MFAD-G Electronic Model will be a laboratory-grade device with electronic transducers, digital data collection.